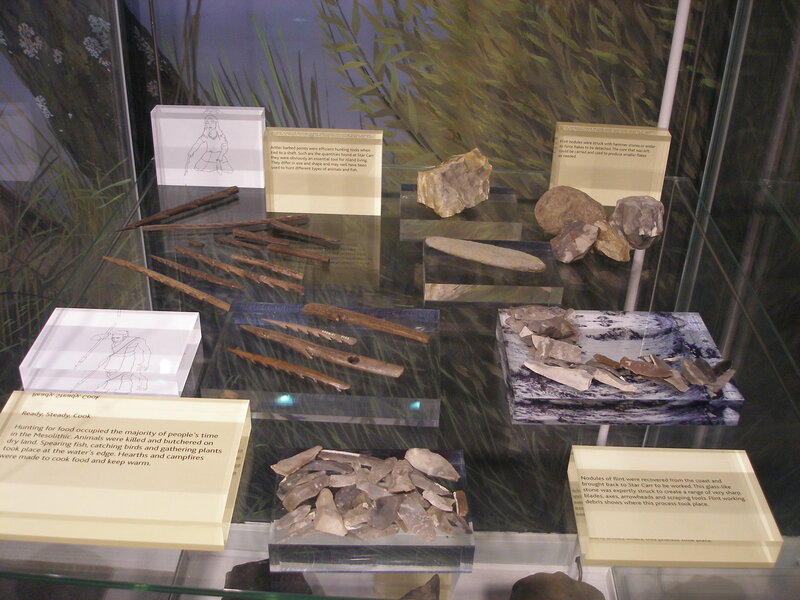 Archaeologist Don Henson at the University of York has been developing a suite of resources for teachers about Star Carr and the Mesolithic period. Here’s Don’s summary of what’s available to use—and he’s seeking feedback on the materials too. The classroom activities have been grouped into three sets of units. Individual units can be taken from any set and taught as stand-alone activities. We are looking for teachers who would like to test these resources in the classroom and let us know what they think of them. Please contact mail@starcarr.com. Set 1 | A skills log to develop basic archaeological skills in the classroom: finding out information, identifying things, recording objects, analysing how people lived and telling others about Star Carr. Set 2 | A set of short stories, “11,000 Years Ago”, about the daily lives of a Mesolithic family: moving home, making things, food, friends and strangers, a hint of winter, coming of age, a new life, the bad old days, boy or girl – animals or plants? Set 3 | Lessons from the Middle Stone Age, showing how the Mesolithic can teach useful lessons to help us both live better lives today and understand the world we live in: the origins of ourselves, change is inevitable, the living environment, human diversity, healthy eating, what makes us happy. 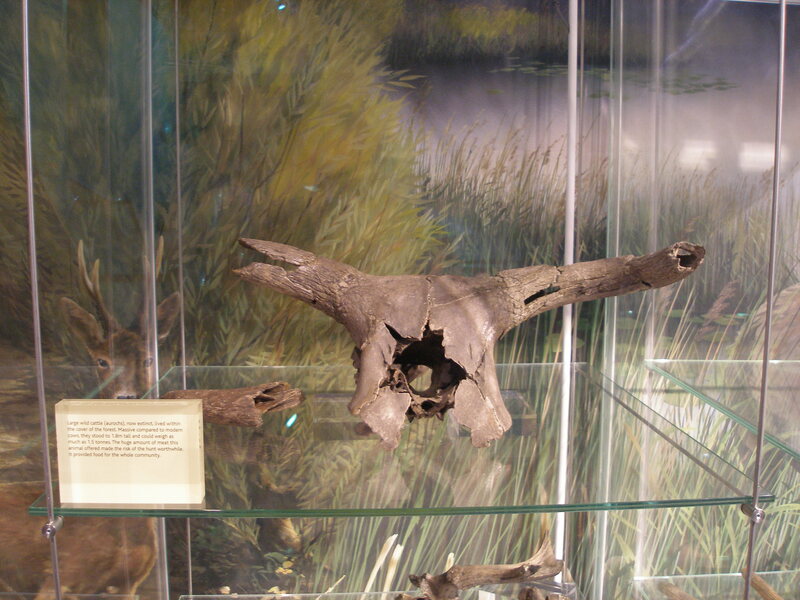 Mesolithic archaeology surviving in wetlands (bogs) is an increasingly rare resource, as evidenced in the rapidly deteriorating—drying and acidifying—remains at Star Carr since the original excavations in the 1940-50s. Star Carr, North Yorkshire | Image comparison between 1950 and 2010 showing shrinkage of the peat due to land drainage. Source: StoneAgeBogs website. 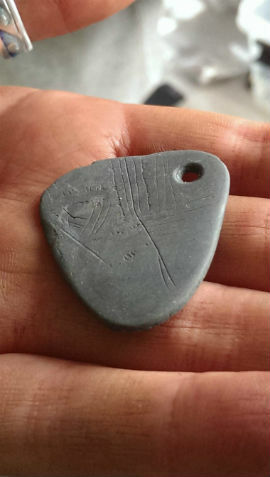 Press-released on 26 February by the University of York, you’ll likely have seen the news about the Star Carr Mesolithic engraved shale pendant. The usual mix of media headlines—from secret codes to shamanism—perhaps mask the incredible scientific analyses which are presented in the open-access Internet Archaeology academic article, including the archaeological context, a suite of images (with 3D), analysis techniques, and an assessment of comparable engravings from UK and European finds. 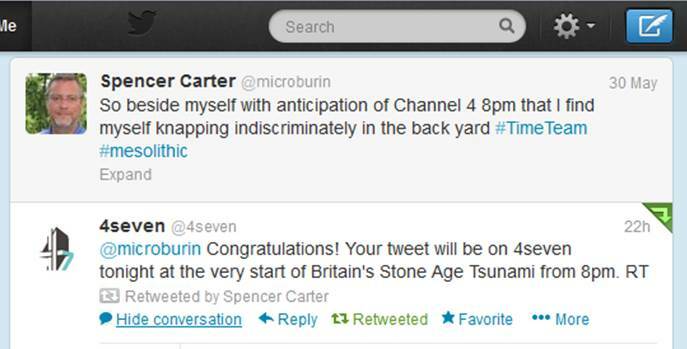 Image: Dr Harry Robson, Department of Archaeology, University of York. 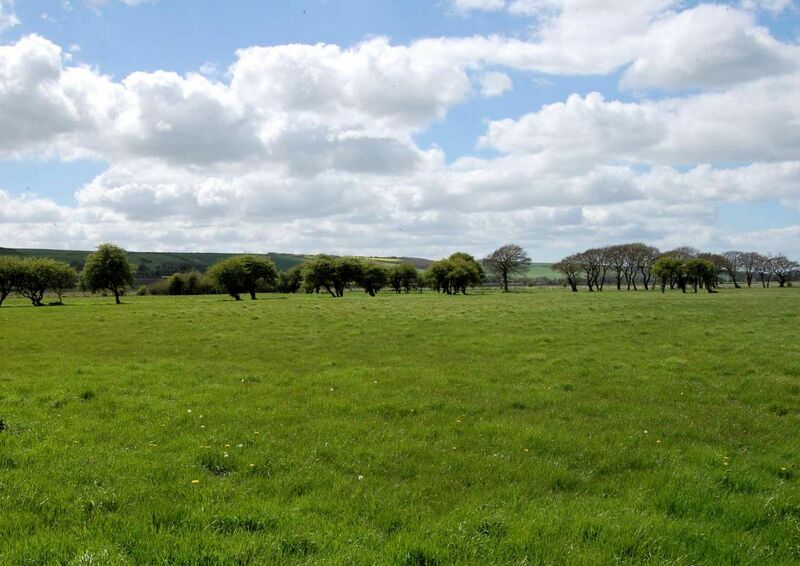 Extraordinary news from the Star Carr project team (University of York) is that part of the Vale of Pickering, containing Upper Palaeolithic and Mesolithic wetland archaeology, is on the market for £550,000 or as four lots* – see the links and image below. *Lots 3 (£125,000, 25 acres) and 4 (£305,000, 61 acres) contain Flixton Island and No Name Hill respectively. The pasture, under a short-term stewardship agreement, is the location of Flixton Island and No Name Hill which were indeed islands in the post-glacial palaeo-lake Flixton. This is a beautiful landscape and wildlife habitat sitting between the Yorkshire Wolds and North York Moors in an area where tourism is a major economic component. 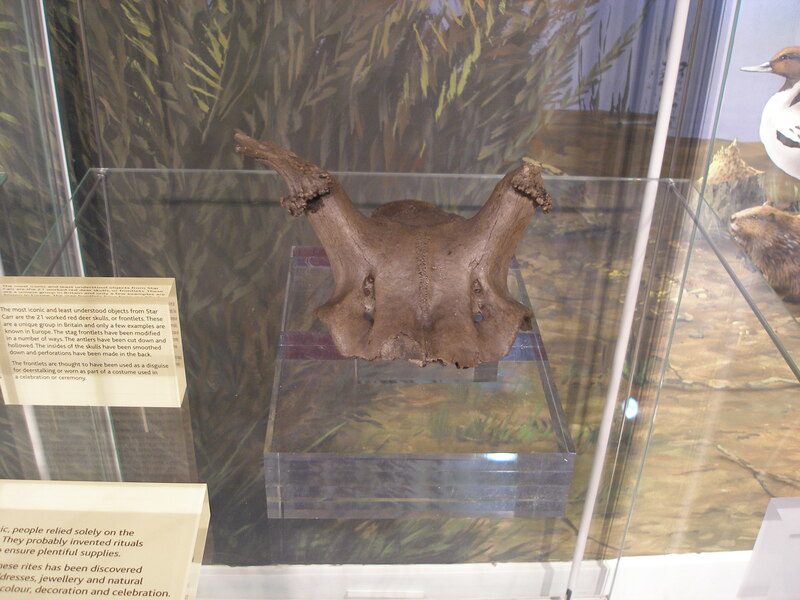 Recent excavations have proven organic preservation under surviving peat that includes a horse butchery site and several Early Mesolithic activity areas. As the project team point out, the risk is that the future owner or owners will not be sympathetic to this special archaeological resource and that, at the end of the stewardship cycle which brings in a modest annual income, agricultural practices may revert to arable, destructive activities. I do note that the archaeological assets are hardly mentioned in the PDF brochure and that only the nearby Star Carr is an archaeological scheduled area – and rapidly drying out. Is there any hope that the partnership capabilities of charitable organisations, perhaps with sympathies from national and governmental bodies, might come together in order to purchase the land and secure it for the broader public? The Vale of Pickering is a rich natural (if managed) resource as evangelised by the likes of the Carrs Wetland Project. £550,000 is a modest sum in terms of Heritage Lottery and land management initiatives that receive support. Indeed, compare with the considerable sums raised to rescue treasure trove finds in recent years and the success of crowd-sourcing projects that enable public access to heritage, nature and learning. The Crosby Garret Roman parade helmet sold, regrettably, to a private bidder for £2.3M and yet the Tullie House Museum was able to raise £1.7M in an attempt to secure it. £0.55M seems less daunting? Would the very special habitat – and its development as a public asset – not garner the interest of the National Trust and RSPB? After all, they also bring the relevant land management expertise and oversight to conserve complex living landscapes? Is a campaign out of the question? 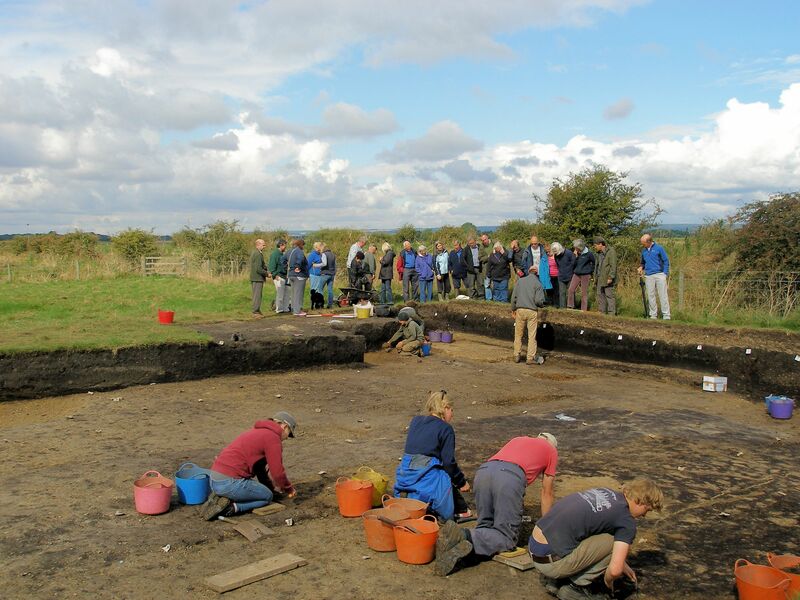 There is already a Vale of Pickering Trust that supports the archaeological ventures and has done so for many years – so is the coordination vehicle already there? If only I had the savings, I’d jump at this in a second: more lottery tickets I guess! Stop Press – Nature offers a great ROI! Just published today by Natural England, a new report demonstrates the value for money delivered by investing in the natural environment – wetland habitats being an important one – including carbon storage, resilience to climate change, health and well-being, and attractiveness to future investment, tourism and recreation. 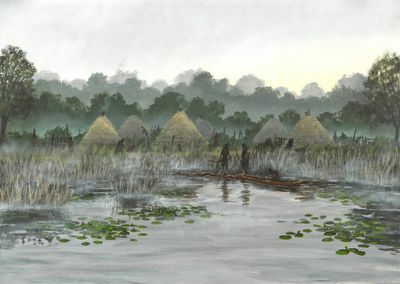 Here’s a great short video fly-through the Mesolithic landscape of Lake Flixton, Vale of Pickering, North Yorkshire, England. 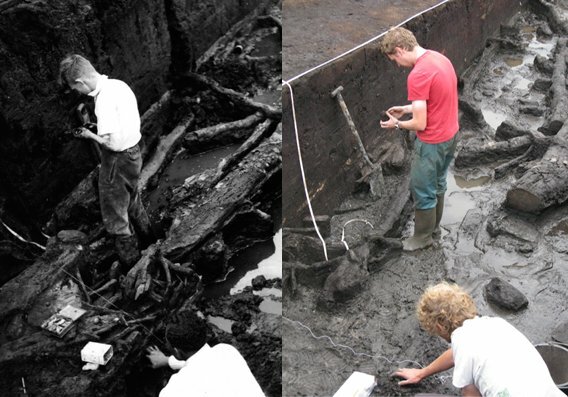 Ongoing excavations at Star Carr and Flixton Island are the current manifestation of research since the 1950s. This CGI video incorporates recordings of what the the post-glacial landscape may have sounded like 11,000 years ago, when hunter-gatherers shared their environment with wild ox, bears, beavers, horses, boar, wolves and a hazelnut or two. Warning | If you don’t want to preview some of the exhibition, don’t click on the images. 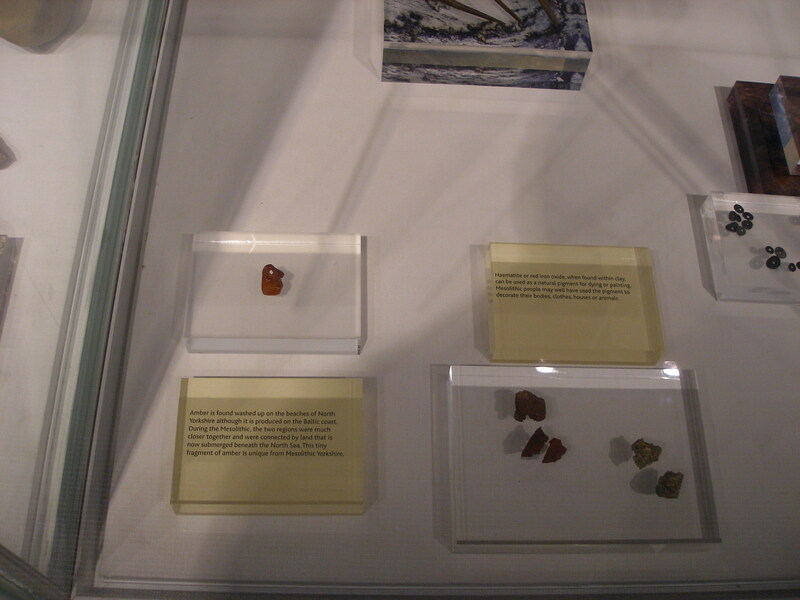 Photographs by ◊microburin with kind permission of the Yorkshire Museum (quality subject to lighting conditions and excitement). In an earlier post I wrote in anticipation of the After The Ice exhibition at the Yorkshire Museum, York, England. 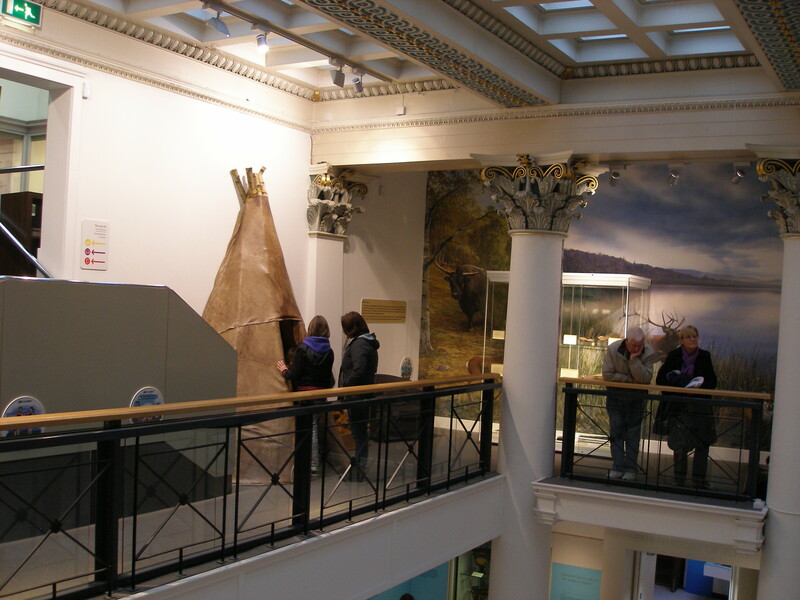 Open until May 2014, the exhibition presents some of the outstanding Early Mesolithic artefacts that haven’t been on display in Yorkshire since the redesign of the Rotunda Museum, Scarborough—which now focuses on the outstanding palaeontology (fossil) collections. 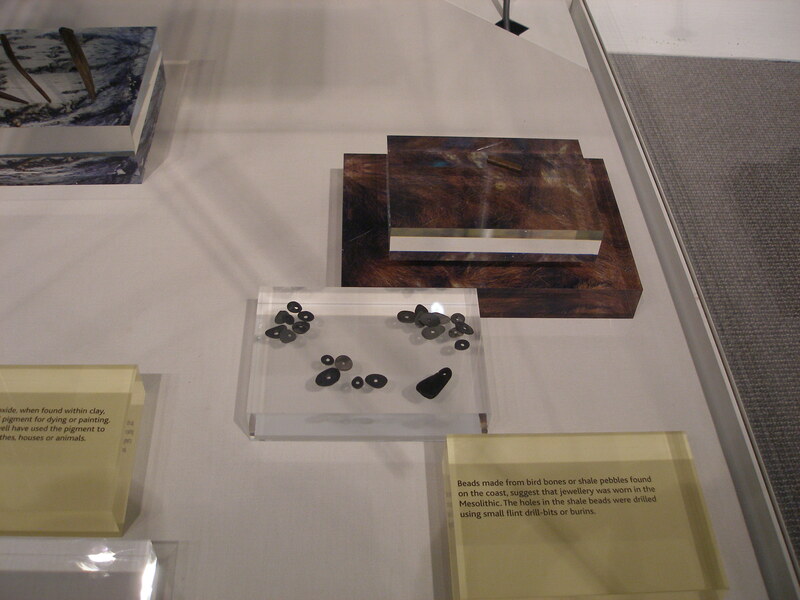 Other Star Carr artefacts and ecofacts, dating to between 9300 and 8400 BC, appear in the Museum of Archaeology in Cambridge (University) and (occasionally) at the British Museum—much more remains in stores. Appreciating that not all readers will be able to make it to York to see the exhibition, and yet not wanting to be a “spoiler” for those that will, here’s a sneak peek at some of the display. Everybody will have their own individual sense of expectation, their own views and take-aways having seen the exhibits and, hopefully, reading the accompanying booklet. It’s a bit tricky to find in the museum bookshop so you may have to ask. I’m not sure whether it was a one-off or it will be a regular feature, but when I showed up on a misty (we call it fret—fine mizzle), damp weekday the team were experimenting with an acoustic installation on the lawns in front of the museum. Thanks to archaeologist Ben Elliot and sound artist Jon Hughes for explaining it. 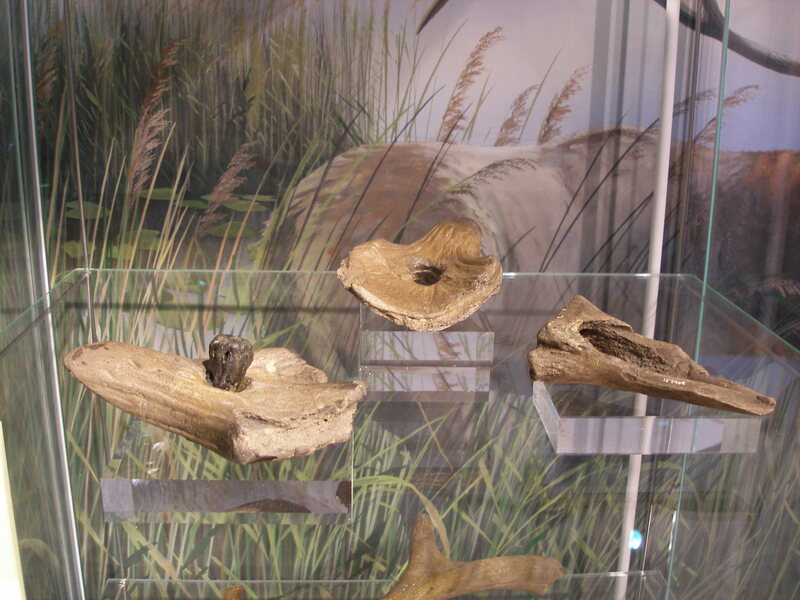 Standing at the centre of a 30m circle of high-definition speakers one could experience “sounds of the mesolithic”. It was extraordinary: flint knapping, wild fowl, a wild boar being hunted (not dissimilar to a January Sales rush) and more. We chatted about the absence of human voices, but the team are thinking about how best this might be incorporated. For example, what language would one use? Would a rhythmic “dance” or distant “babble” inject the people into the wildscape? I do hope they try something—this really adds a special dimension to the museum’s offering in a similar way to the Scandinavian banter at the Jorvik Viking museum. Top | L: kids loved the semi-tepee though I didn’t see anybody wearing the furry capes, but I did see some children outside with fantastic home-made card antler frontlets; C: red deer antlers showing groove & splinter technique where thin strips of antler were removed with flint burins, and some barbed points; R: various bone macro-tools, some hafted. 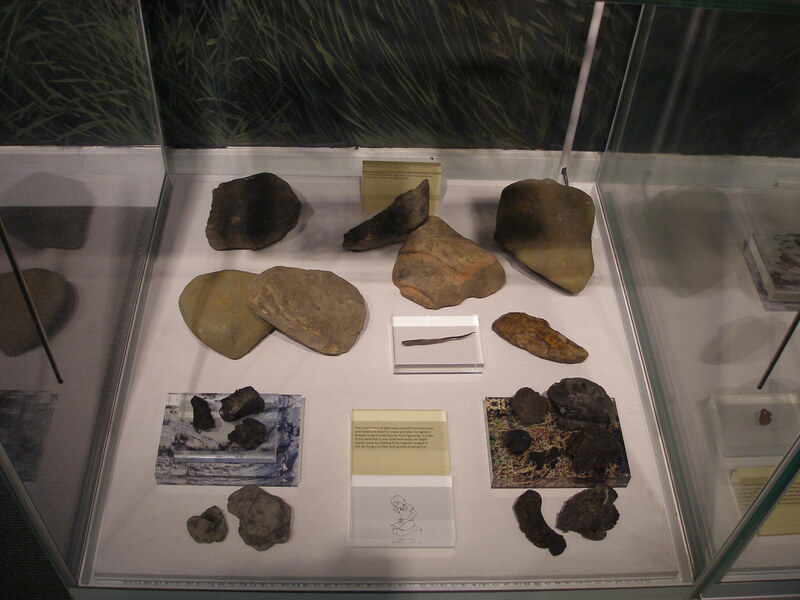 Middle | L: aurochs skull (massive wild ox, three times the size of a modern cow); C: barbed points (there are 191 in total) and flint tools, top right are flint nodules (beach pebbles) and a stone fabricator/hammer although most flint was worked with antler soft hammers; R: fire-heated stones used to boil water and slow-cook, with examples of fungus at the bottom, slow-burning/glowing, portable fire-starters. 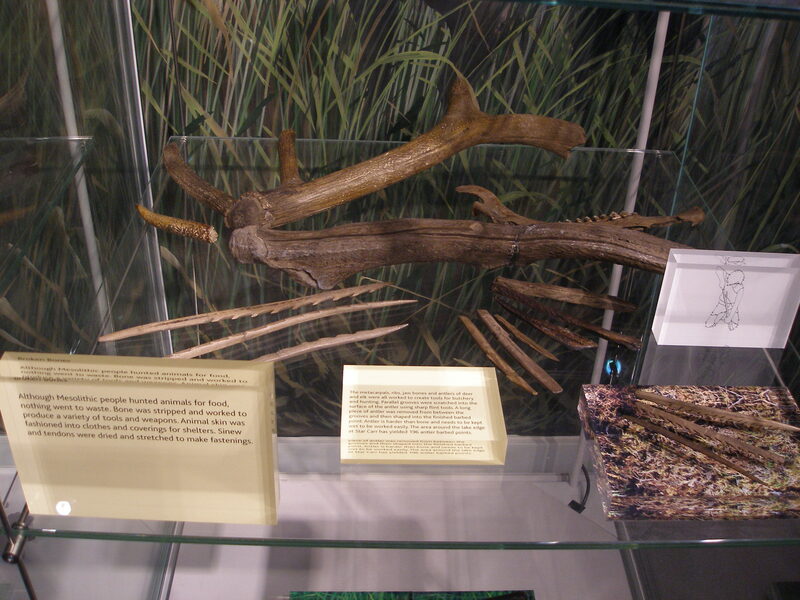 Bottom | L: one of the 21 red deer stag antler “frontlets”; C: an amber “thingy” on the left derived from Baltic deposits and sometimes washed up on the Yorkshire coast, and some “red ochre” (iron oxide) used as a pigment; R: shale beads perforated using flints, and two bird bone beads top right.